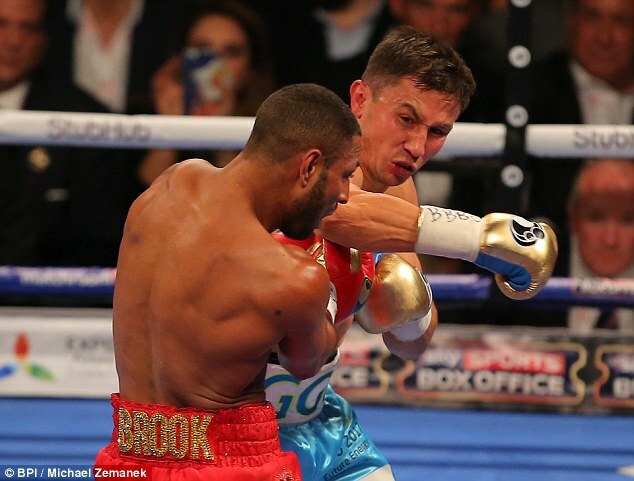 If Gennady Golovkin gets his way he will return to London this winter to inflict the same eye-busting punishment on Billy Joe Saunders that put a savage end to five rounds of heroics by Kell Brook. If that wish had been granted, Golovkin would have despatched Brook not only to the nearest emergency ward but into retirement. That will have to wait some months while his injury heals. Then the eye will require medical clearance by British Boxing Board of Control doctors. Meanwhile, Brook may have performed a service to Golovkin by hitting the great man often enough to give rise to an illusion that he was ahead on points at the time of the stoppage. I gave him just the epic second which was the centrepiece of a five-round classic. But he landed sufficient blows for Golovkin’s manager Tom Loeffler to say: ‘While I don’t enjoy Gennady being hit, seeing it happen may encourage Saunders to take our fight. 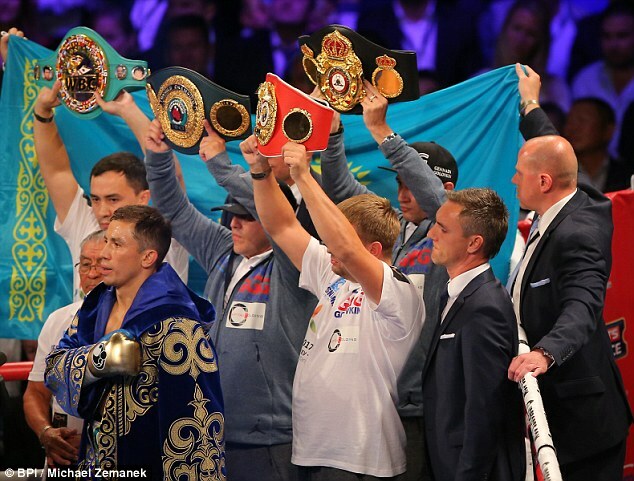 Gennady is keen to unify all the middleweight belts before moving up to take on bigger men and Billy Joe is the WBO champion. There would also be the lure of a purse at least equal to the £3million-plus banked by Brook, who earned every penny even though it was for less than 15 minutes of action. The Saturday night-outers who jeered Brook fail to comprehend how much punishment that entails. 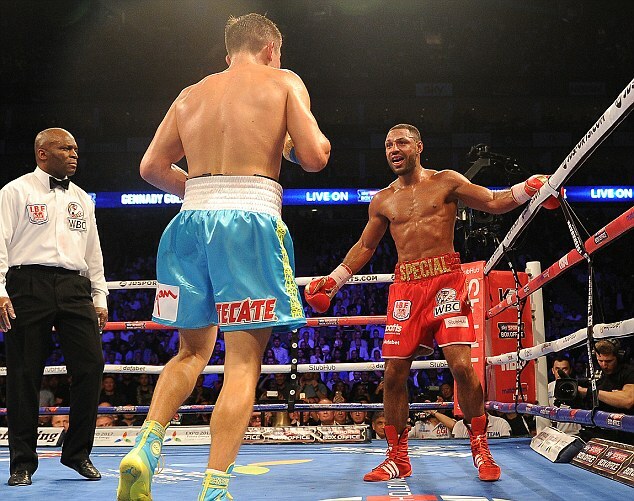 A lesser man would have capitulated to the first-minute punch with which Golovkin announced his intentions. A left hook of such ferocity that it probably inflicted the eye damage, even though Brook thought it was fractured in the second round. 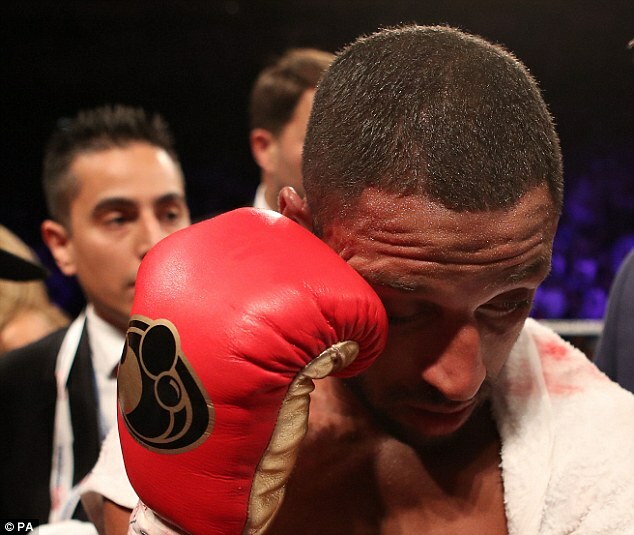 The way Brook kept fighting back was a tribute to his courage. 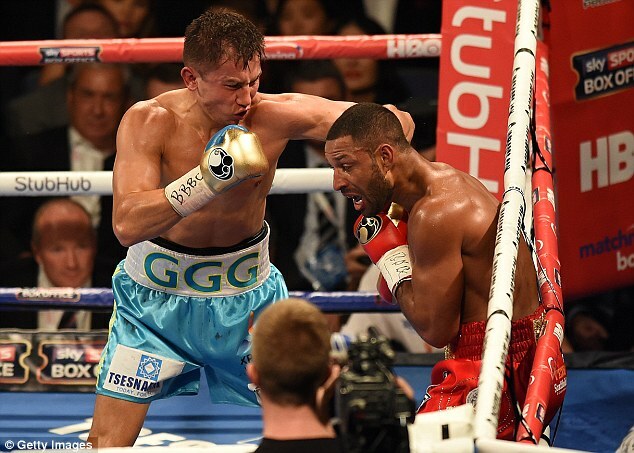 His publicists had broadcast pre-fight rumours of Golovkin looking out of sorts. If those whispers remotely represented the truth, then it is terrifying to imagine how lethal Triple G would be when fully fit.